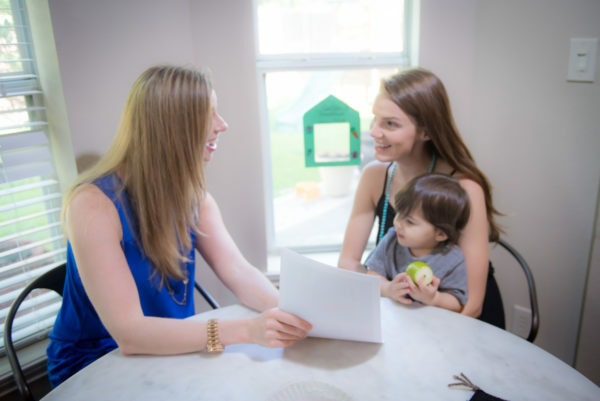 We utilize both informal and formal assessment measures, including child/parent/caregiver interview, clinical observations, play-based assessment when necessary, as well as standardized tests to evaluate your speech & language and/or feeding skills. We look at your child’s strengths and needs in different areas of communication. A written evaluation, recommendations, and strategies for your child’s specific communication profile is provided. Evaluation encompasses interacting, observing, assessing, playing, using standardization instruments as indicated, all in order to understand your child and how best to move forward. Please be assured it is not necessary that your child perform “on command”. We use evidence based treatment approaches and customize a plan based on you child’s strengths and needs. 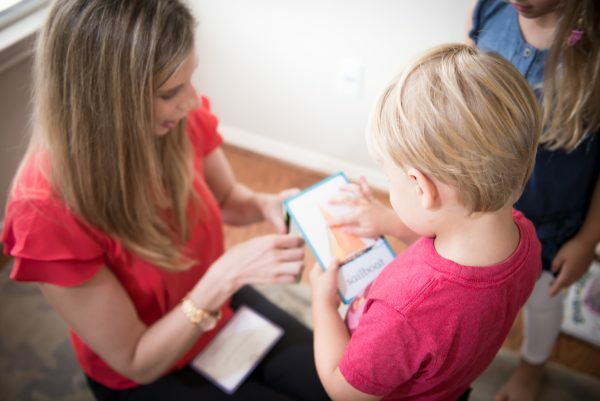 All therapy is individualized to meet your child’s unique learning style, incorporate his/her personal interests, and capitalize on his/her strengths to support growth and development of his/her language skills. A summary of the session is provided for the parents and a home plan with written strategies to work on during the week. At the age of 2, my son’s preschool teacher noticed he was a little behind in his speech, he was muttering in a low tone. It was hard for anyone to understand what he was trying to tell us. When I was told he needed therapy, I was a bit nervous because my son is very shy around people he is not familiar with. I was afraid the speech therapist would get nowhere with him, but boy was I wrong. By the end of his first session with Ms. Brooke my son was comfortable with her; he did not want the session to end. Ms. Brooke took the time to research new ideas and activities that would accommodate my son’s needs to help him open his mouth when speaking. She focused the entire session on making sure he practiced the ability to speak up loud and clear while still having fun and kept him engaged. He only had therapy for 5 short months; Ms. Brooke gave him the confidence he needed to speak up. He continues to ask to see Ms. Brooke, he misses her so much. She left him with such great moments and experiences that I do not think he will ever forget her. Brooke has been working with my son Colton for about a year now. She is an amazing speech path and has created a great relationship with him during that time. He is always super excited to see her, and sees the time he spends with her as play time. Yet he’s always learning. Colton has an obsession with trains, and so generally wants to show her how his trains are set up every week. Brooke manages to incorporate whatever skill they are working on into this play. Whether it was putting more than one word together, or focusing on certain sounds, or not dropping the endings of words. She also leaves us with suggestions on what to do with him over the next week to help with the goal that we are currently working on. Brooke’s heart is in her work, and you can tell she loves what she does. If you choose to work with her, you will be happy with the results you see. Colton had had an explosion of vocabulary this year, and I know she contributed greatly to that. My son Finnian was diagnosed with autism at age 3 and was non verbal. I remember being so scared and stressed about Finn’s future until I met his team of teachers and therapists. Miss Brooke was my son Finn’s speech therapist in his EC Pre-K classroom. She was amazing with Finn and supportive to me. Her gentle and compassionate approach was just the connection my son needed to feel safe and grow. One of my favorite qualities of Miss Brooke is her genuine enthusiasm when working with my son. I will always be grateful for her twinkling eyes and contagious smile when discussing my son’s progress and growth. Thank you Miss Brooke!